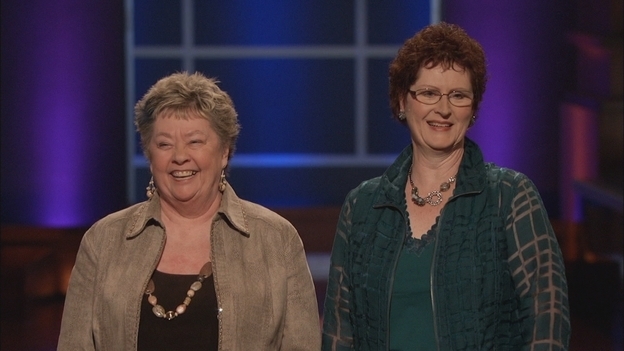 I recently interviewed Charlotte Clary (that's her on the right) for the Shark Tank Blog. She, along with her business partner Beverly Vines-Haines, is one of the "grannies in a garage" who got a deal for Ice Chips last fall. They've been selling their xylitol candy chips like hotcakes since and they'll be the featured "update segment" on the season 4 finale on May 17. We chatted about kids and grand kids, her plans for expansion, Bev's new books, and, of course, Shark Tank. I think Charlotte should stick to making candy. For a woman with so many grandchildren, I had hoped she'd set a better example!